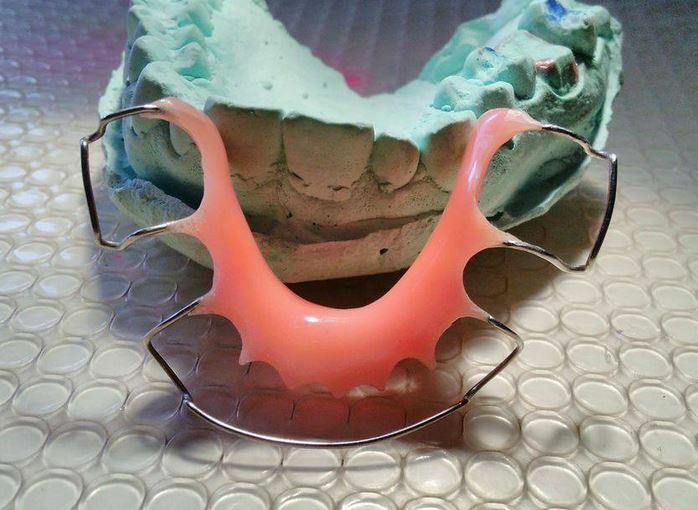 Removable Orthodontic Appliances are used in correction of Malocclusion cases which are mild as the amount of force exerted by the appliances are not heavy and not constant as seen in Fixed Braces. So an Orthodontist plans for Removable Orthodontic appliances in selected cases and it comes with many limitations which have to be kept in mind before giving a removable appliance. Removable Orthodontic Appliances are given in three scenarios, pre-treatment ( habit breaking appliances), mid-treatment and post treatment (Hawley’s) to maintain the change achieved with fixed treatment. They are also used solely in mild cases, like mild rotation of single tooth where fingerprint etc can be used. So now let us look at the various Limitations which are seen with Removable Orthodontic Appliances. 1. Single tooth rotations can be corrected but not Multiple rotations. To correct rotations it is important to first create space to align the teeth after rotation. 2. Bodily movement cannot be done. To attain bodily movement a lot of force needs to be exerted on the tooth at a specific point which is not possible with removable appliance and hence bodily movement cannot be attained. 3. Only simple malocclusion can be corrected, like rotations, tipping etc. 4. Final alignment of the teeth is not possible. You can maintain the aligned teeth in position till the bone strength is achieved but alignment is not possible with removable appliances. 5. Patients will have difficulty in speech in the initial stages. It takes some time to get used to the new appliance in your mouth which needs practice like reading a newspaper aloud to get the pronunciation right which will be there for some days. 6. In cases requiring multiple tooth movements like rotation, tilting etc, the treatment time is prolonged, as only few movements can be carried out at a time. 7. 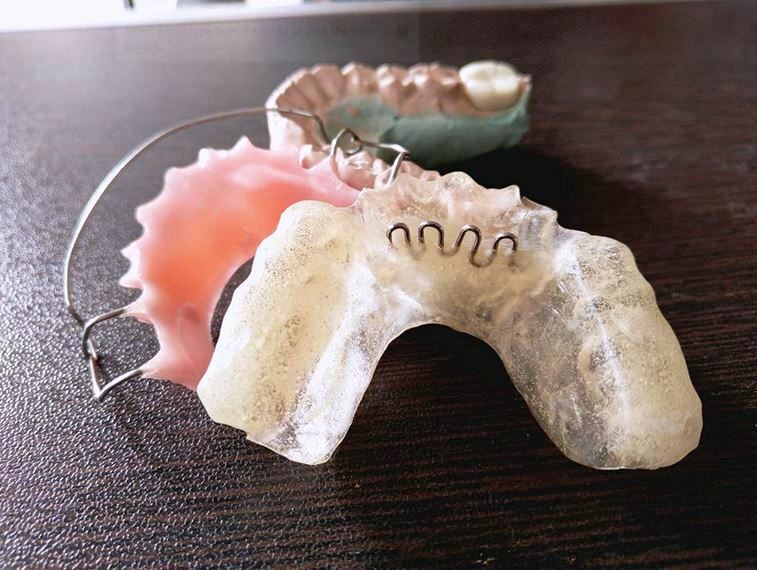 With removable Appliance, patient compliance is also very important, if the appliance is not adjusted properly, it might lead to uncontrolled tipping of teeth worsening the occlusion. 8. Removable appliances cannot be given in severe class 2 and class 3 cases. As we have seen earlier, severe cases require high amounts of forces and Removable appliances cannot exert such forces. 9. Appliances can be easily (damaged) distorted or cannot be broken, of care is not taken by the patient. 10. Due to low forces exerted by the Removable appliances, it is not possible to migrate Posterior teeth Mesially into spaces left after extraction . 11. One of the major drawbacks is the lack of patient cooperation, as the patient might not use the appliance as directed and will decrease the time of action of the appliance which in turn alters the treatment plan. 12. Due to the presence of tongue, the patient needs time to adapt to the lower removable appliances. It will be worse in patients with big tongue or Macroglossia. 13. As mentioned above due to lack of forces to move teeth, root movements are not possible which require more forces. 14. It is important to keep in mind that some patients might be allergic to the Acrylic or the SS wire and other might be able to tolerate the appliance. 2. Because of the option to remove it when required, the patient can find it more acceptable in comparison to fixed appliances . 3. Removable appliances can be used to growth guidance in cases on skeletal deformity in patients in their growth period. 4. The appliances can be used as muscle exerciser. 5. Tipping and tilting movements can be achieved easily with removable appliances but not bodily movements. 6. Bite planes can be incorporated with removable appliances to help in modifying the bite of the patient and guide the growth. 7. It is comparatively safer as high or excessive force cannot be applied which can be harmful and slow movements are possible helping in good bone remodeling. 8. It takes less chair side time, as only an impression is taken from the patient and the appliance is fabricated in the Lab. 9. In case of any damage to the appliance, the patient can remove it without any need to visit a Dentist to prevent any damage or unwanted forces to be exerted. 10. Less expensive for both doctor and the Patient. 11. These appliances can be handled by general dental practitioner. 12. They can also be removed on socially sensitive occasions for a short period. Is a Dentist currently practicing in India with a zeal to share her knowledge with upcoming dentists around the world.